We watch with grief and rage as injustice continues to threaten the lives of those we hold dear. At Split This Rock, we continually ask what more poets can do to interrupt the false narratives, the dehumanizing tactics, the legalized discrimination and harm. The organization enters its next 10 years fired up, committed to bringing poetry into the public sphere where it can be of service to movements for change. It takes time, people power, and funds to fulfill that objective. We hope we can count on your support to help ensure that activist poets and poetry have a strong resource in Split This Rock. Our goal is to make Split This Rock’s work even more relevant and effective in this new decade. We invite you to invest in these efforts! Below we present several ways you can play a role in the organization’s 2018 Year End Fundraising Campaign. Don't Miss the Weekly Emails for Progress on Goals & Perks! BIG NEWS! DOUBLE YOUR DONATION! The Morris & Gwendolyn Cafritz Foundation has given Split This Rock a tremendous vote of confidence: They will match every donation from a new supporter or increased gift from an existing donor, up to $10,000. As of December 18, 2018, there is only $2,014 left to raise! In celebration of Split This Rock’s first 10 years and to inspire support for the years to come, we have named Giving Circles in honor of poets who have inspired, supported, and helped to shape Split This Rock’s work. When you give, you build on their legacy. You can now give to honor Langston Hughes ($10,000+), June Jordan ($5,000+), Adrienne Rich ($1,000+), Lucille Clifton ($500+), Francisco X. Alarcón ($250+), Zahara Heckscher ($100+), or Maxwell Corydon Wheat, Jr. ($1-99). Read more about the Giving Circles and make a gift on the DONATE NOW web page. Want to Be More Involved? Here's How You Can Help! Donate & Encourage Others to Give. If you have the capacity and have not done so already, we ask that you consider donating during the campaign. Having a strong donor base illustrates a level of solidarity that is helpful when we apply for grants. Think about who you might encourage to give as well. Gifts of every size are greatly appreciated. Monthly donations are especially valued as they help to sustain the organization and we’re only 15 new monthly donors away from our goal of 40. Give online today! Let Us Quote You. We can always use words of endorsement from people who believe in Split This Rock’s mission and programming and who have witnessed its impact. What we'd need is a short statement of 150 words or fewer. A photo and one sentence bio might also come in handy. Quotes (which may be excerpted) may be used as part of fundraising emails and social media posts. Quotes can be sent in at any time. You can email them directly to Camisha Jones (camisha@splitthisrock.org) or submit them via the online form. Launch an Online Fundraiser for Split This Rock in December. We're aiming to recruit 25 people in our network to show their love for Split This Rock by inviting friends, family, colleagues, and others in their network to invest in the organization. You can choose a goal that feels feasible for you and we’ll offer support to get you set up on Facebook or via Split This Rock’s online donation platform. Donate a Perk. Incentives are helpful in encouraging people to give. We’d like to unveil a new perk with each email we send in December. What might you contribute to encourage potential donors? Well known authors might consider donating signed books. Artists might donate a print. Business owners might contribute a service or gift certificate. We're open to other ideas! Designate Matching funds. Donors are excited by knowing their funds will be doubled. You can determine how you’d like your donation matched. 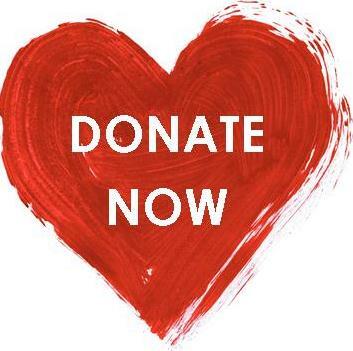 For example, you might choose to match donations up to a certain amount, for first month payments of new monthly donors, for increased donations only, or something else. Repost, Share, Shout Us Out! Moved by a Poem of the Week or a Split This Rock Festival video, forward it to a friend with a note sharing what you appreciate about Split This Rock. Excited about DC Youth Slam Team, post one of its videos from YouTube on social media and encourage folks to invest in them. Write a few words reflecting on why Split This Rock matters to you and share them. Let people know what moves you about Split This Rock and that we’re worth their time and investment. Buy merch! As we enter the gift giving season, consider Split This Rock poetry notecards, mugs, and t-shirts. Visit the merchandise page to check out the options. For further campaign information, contact Camisha Jones at camisha@splitthisrock.org or 202-787-5268. Thanks to All Who Came to the Campaign Kick Off on Giving Tuesday! On November 27, 5:30-9 pm, we kicked off Split This Rock's 2018 Year End Fundraising Campaign with a Poetry Marathon filled with poems calling forth a world in which we all thrive. We gathered for comfort, solidarity, and action. We welcomed Split This Rock's new Interim Executive Director, Rasha Abdulhadi and attendees had a chance to invest in the organization's next generation of leadership. The event was livestreamed, allowing issues we care most about to have an international platform. Poets and activists who raised funds to support the organization read poems of their own and from Split This Rock's online social justice database, The Quarry. Throughout the night, poets were available to write poems on the spot in exchange for donations of $25 or more.